Jungle Love Festival- a place where diversity, individuality and androgynous attire is not only encouraged, but celebrated in style. Located 2 hours North of Brisbane in Imbil, Queensland, the festival is set right on Yabba Creek- perfect for swimming and inflatable flamingoes. With no shortage of workshops and activities such as afro fusion dance, dunkata body beats (using your body as an instrument to create dynamic rhythms & sounds yeah), hula hoop making, symbiotic yoga, and my personal fave- water aerobics with Meg. 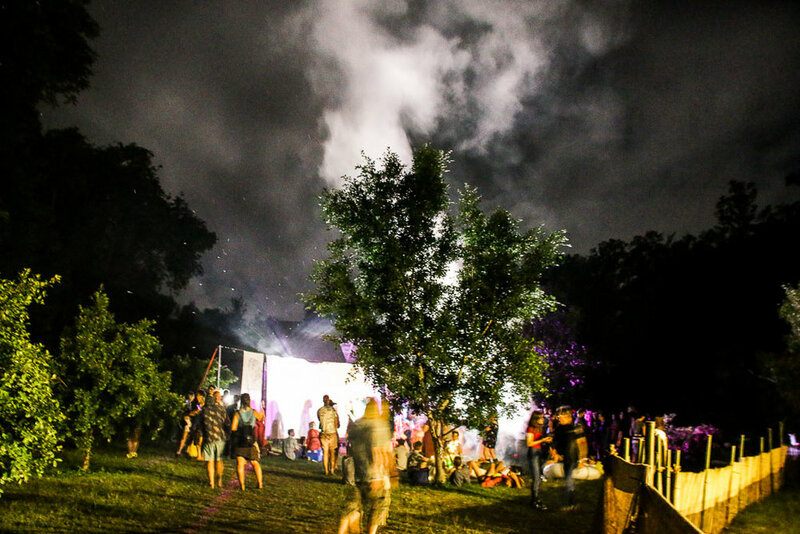 Jungle Love Festival gave you the opportunity to learn and create, to your heart’s content. The mornings generally consisted of a throng of dilapidated dreadfuls meandering their way down to the creek to either awash the previous nights’ sins, soak the soul, or just lounge back with an Emu Export in a blow-up inflatable. Anything goes. 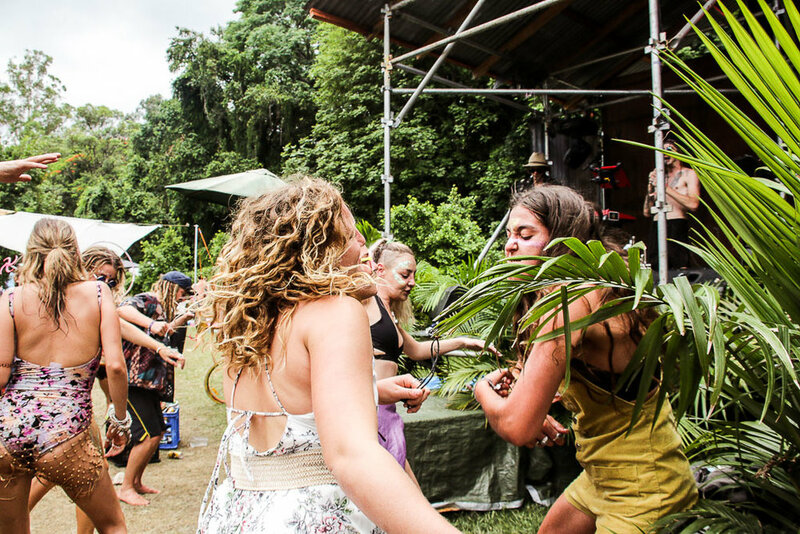 The Jungle Boogie stage, with its simple scaffolding setup, smothered in palms, and 50-metre vicinity from the creek was an absolute hit. The constant flow of bubbles being pumped out into the space added to the good vibes. You’d be surprised by the length of time a single bubble can entertain a frazzled mind, they certainly added to the atmosphere, that’s for sure. Some of the artists playing included Australia’s critically acclaimed Harts, Kallidad, Koi Child, Karl S Williams and Brisbane locals such as Hemingway, Nice Biscuit and Pocket Love. A fruitful mix of creatives with an overarching cosmic vibe. Jungle Love thanks for the groovy times! Subscribe to be the first to hear about travel tales, interviews and inspiring stories. Yours could be one of them.